The main opposition party in India, the Congress party, has just promised to implement a “nationwide minimum income for the poor”, rolling out the unprecedent scheme starting as soon as May 2019, if it gets elected. The party’s president Rahul Gandhi, has announced this on Monday, while speaking to farmers in Chhattisgarh state, where Congress was elected after promising statewide loan waivers. Rahul Gandhi has firmly stated: “Nobody will remain hungry and nobody will remain poor as all poor people will be entitled to a guaranteed income. We will do this in Chhattisgarh, Madhya Pradesh, Rajasthan and all other states as well. All you have to do is to give us an opportunity”. Particulars have not yet been revealed (for instance, what are the parameters defining “poor” in India), but this announcement from Congress comes on the wake of the 2016-2017 Economic Survey, which suggested the implementation of a basic income to support the bottom 75% of the population in terms of income. In that document, the scheme’s realization would include the rollback of several (conditional) subsidies. Running up these last months to the general election, spirits are agitated. There has been speculation on whether Narenda Modi and his government would attempt to implement a nationwide basic income on this week’s presentation of the interim budget, as a response to farmers protests all over the country. That led some to think that Ghandi’s move was meant as a strike to turn the table and get Congress one step ahead facing the impending elections. Could be. However, government officials are sceptical about how to finance such a bold policy, without cutting on State essential services and unleashing “runaway inflation”, which discourages the belief that government will make history in only three months. As expected, the Congress party leadership was quick to support Gandhi’s announcement, with messages and statements from Chidambaram, Sheila Dikshit and Bhalchandra Mungekar, all Congress heavyweights (Chidambaram occupied ministerial positions for ten years, from 2004 and 2014, and Sheila was the longest serving Chief Minister of Delhi). 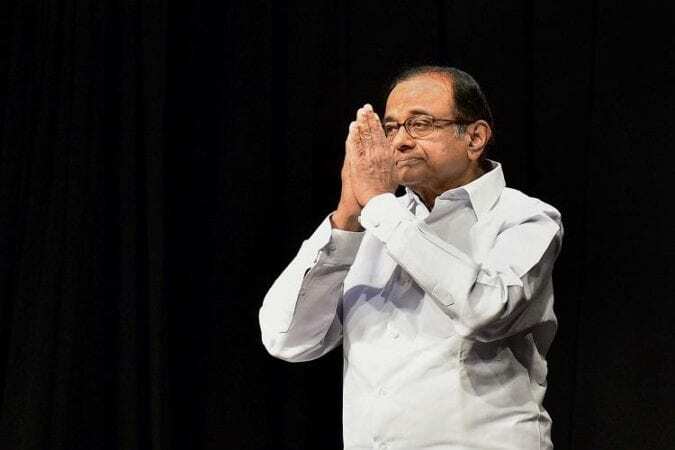 Chidambaram as stated that “the poor in India have the first charge on the resources of the country and the party will find the resources to implement the promise of Rahul Gandhi.” He has been nominated the Congress Manifesto chairman for the 2019 elections, steady on the belief that “now we should make a determined effort to wipe out poverty in India”. Very well captured the moment Andre. Thank you for this write up. Thank you Andre for your informative articles, keeps us up to date. It is such a good feeling to see that we are moving towards normality. Extremely interesting to realise how hard is and has been fought against equal opportunities which benefit the whole of mankind, and then automatically our environment on which we depend. Relief from that dependence cannot be compromised with any sort of bribes. Thanks for the informative commentary! I heard Rahul Gandhi make his comment about a minimum income for all in India on the BBC and felt sure that BIEN would take note. Keep up the good work!